The most complex internet history component suite in Delphi world. The cost of a site license with full source codes is currently 50 EUR. Every component's capabilities are presented in included demo application. The cost of a site license is currently 50 EUR. This license permits development using MiTeC Internet Browser History Component Suite by any number of persons at your place of work. You are granted a non-exclusive, royalty-free right to reproduce and redistribute executable files created using the Software (the "Executable Code") in conjunction with software products that you develop and/or market (the "Applications"). The registered version with source code allows the user to produce any changes in the source code for personal use without agreement with the author. 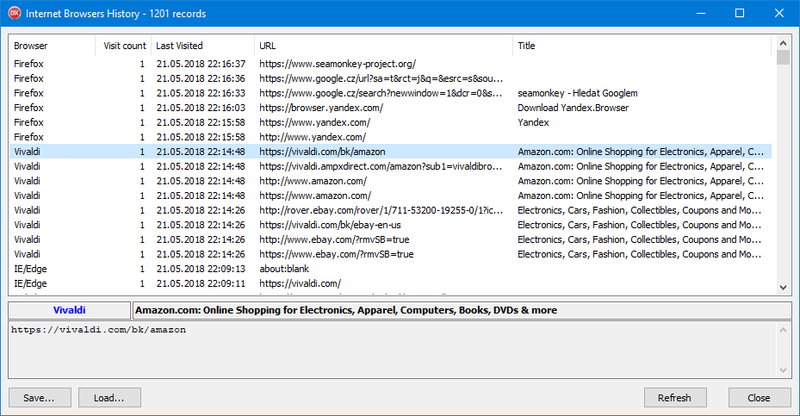 After registering you will get any further version of MiTeC Internet Browser History Component Suite with sources for free.